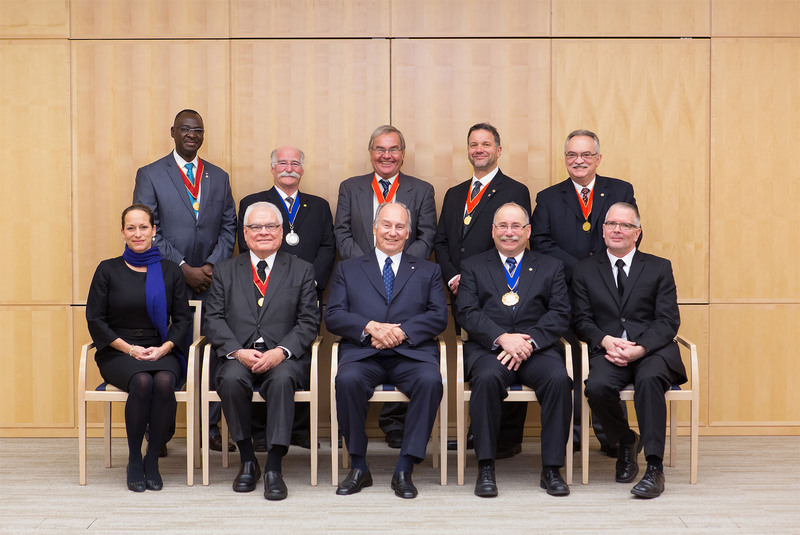 The selection of His Highness marks the first time in more than 30 years that a non-architect has been chosen to receive the RAIC Gold Medal, and recognizes the Aga Khan’s extraordinary achievements using architecture as an instrument to further peaceful and sustainable community development around the world. In recognizing His Highness, RAIC cites his remarkable accomplishments in various aspects of the field of architecture as part of his broader social and economic development work, particularly the specialized cultural programming undertaken through the Aga Khan Trust for Culture. This includes the Aga Khan Historic Cities Programme, which has been responsible for the restoration of many heritage sites throughout the Muslim world, as well as the Aga Khan Award for Architecture. 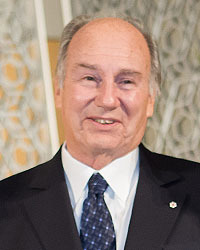 His Highness the Aga Khan is the 49th hereditary Imam (spiritual leader) of the Shia Ismaili Muslims and Founder and Chairman of the Aga Khan Development Network (AKDN), one of the largest private development agencies in the world. 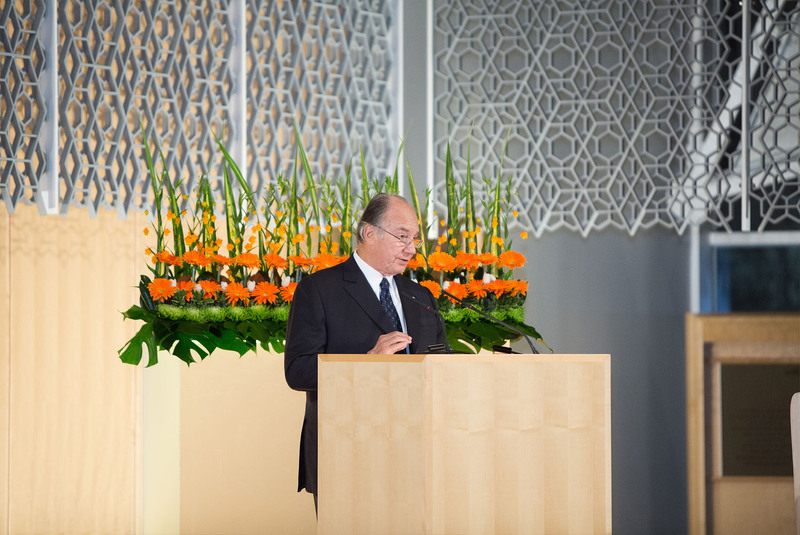 Since taking on his role as Imam in 1957, the Aga Khan has been deeply engaged in improving the quality of life of the most vulnerable populations, while emphasizing the need to uphold human dignity as well as respect for tolerance and pluralism. The AKDN is active in over 30 developing countries employing some 80,000 people with the support of tens of thousands of volunteers. The Network’s underlying ethic is that of compassion for the most vulnerable in society and service to humanity without regard to faith, origin or gender. Its annual budget for non-profit development activities is in excess of US $600 million. 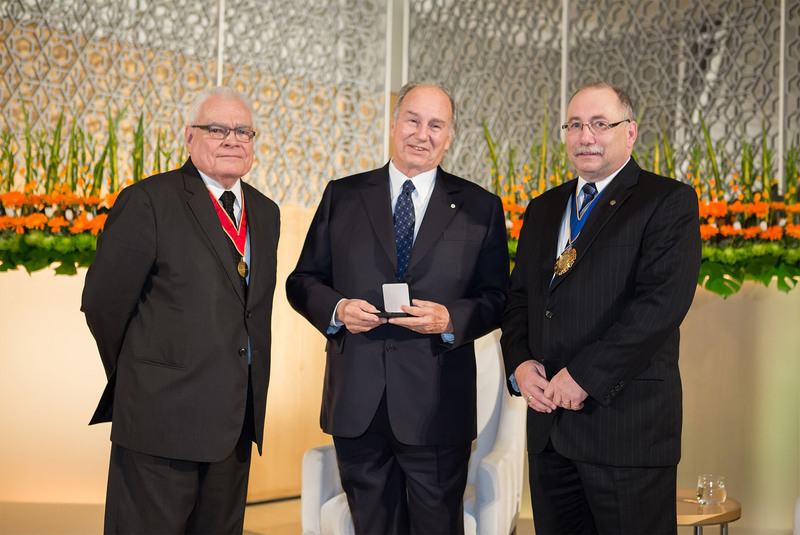 The RAIC’s recognition focuses in particular on the creation of the Aga Khan Award for Architecture established in 1977. It is given every three years to projects that set new standards of excellence in architecture, urban and regional design, conservation and landscape architecture. The Award seeks to identify and encourage building concepts that successfully address the needs and aspirations of societies in which Muslims have a significant presence. When New York’s Museum of Modern Art decided to present an exhibition to recognize projects from around the world that emphasized social program and environmental performance, no fewer than three Aga Khan Architecture Award winners were included among the ten projects exhibited. "Given all of this evidence, it can truly be said that the RAIC 2013 Gold Medal is not at all a break from tradition but rather the recognition of a person whose lifelong commitment upholds the spirit of RAIC’s highest honour."